The hot, dry weather is putting people’s homes at greater risk from subsidence. Subsidence happens when the ground under a property collapses or sinks lower. This uneven movement may result in structural damage such as cracks in walls, floors and ceilings, which can be expensive to repair. Houses built on clay soil, which shrinks when there is less moisture in the ground, are particularly at risk of subsidence in a prolonged dry spell such as the UK is now facing. Trees and large vegetation are also generally involved. Their roots take water from the soil, drying it out and causing it to shrink even more. Poplars, willows and oaks are among the worst culprits as they have long fine root structures, which means they can drink huge amounts of water each day and dry out gardens. Mature trees may remove more than 50,000 litres out of the ground each year. Another cause of subsidence is water leaking into the soil from damaged drains, washing soil away from a building’s foundations. But in dry weather conditions, this is less likely. The tell-tale sign of subsidence is a diagonal crack, next to a door or window, which is often narrow at the bottom and wider at the top. Look out for cracks that can be seen on both the inside and outside of the house. If they are underneath wallpaper, they may cause it to wrinkle. And you may even hear a bang or a cracking sound as a crack opens up. Some movement in a house’s foundations is normal and won’t necessarily cause damage. Likewise, it is normal for some houses to have minor cracks which has nothing to do with subsidence. The important thing is to call your home insurer if you are concerned, and they will advise you. 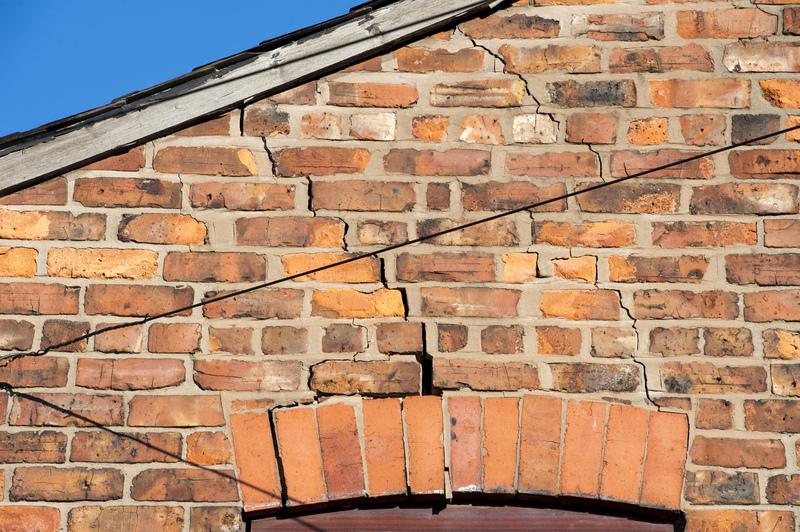 Most will cover damage caused by subsidence, but you are likely to have to pay the first £1,000 ‘excess’ of a claim. Myth 1: Removing a problem tree could cause more extensive damage. Sne says: Removal of trees causes problems in less than one in 1,000 cases. There’s more chance of a problem tree causing damage by leaving it there. Nor does it help to remove the tree in stages - if the tree is the cause of the soil shrinkage, it is generally prudent to remove the tree. You don’t have to remove roots, you just have to kill the tree. Sne says: Underpinning is often not the right solution. Why would you want to throw a bit of concrete under one part of the house? It fails because people take their minds off the cause, which is usually a tree or a shrub. Underpinning is only a last resort when we cannot stabilise by other means. Sne says: When a tree has a TPO, it just means you need approval from the council to remove it. It doesn’t mean you can’t do it. Sne says: It’s the fibrous, hair roots at the extremes of the root system that take the water, rather than the big primary roots. So how can I reduce the risks? If you have a tree, take responsibility for it. Manage it, maintain it, reduce it, clip it and control it. Don’t plant inappropriate trees too close to your home, garage or outbuildings. The Association of British Insurers (ABI) suggests willows need to be no closer than 40m from the nearest building, poplars 35m away, and oaks and elms 30m away. Make sure drains are free-flowing. Don’t put the wrong things down drains or create blockages. For more information about how to protect your home and belongings, go to Solved. Buildings insurance vs contents insurance: what’s the difference?